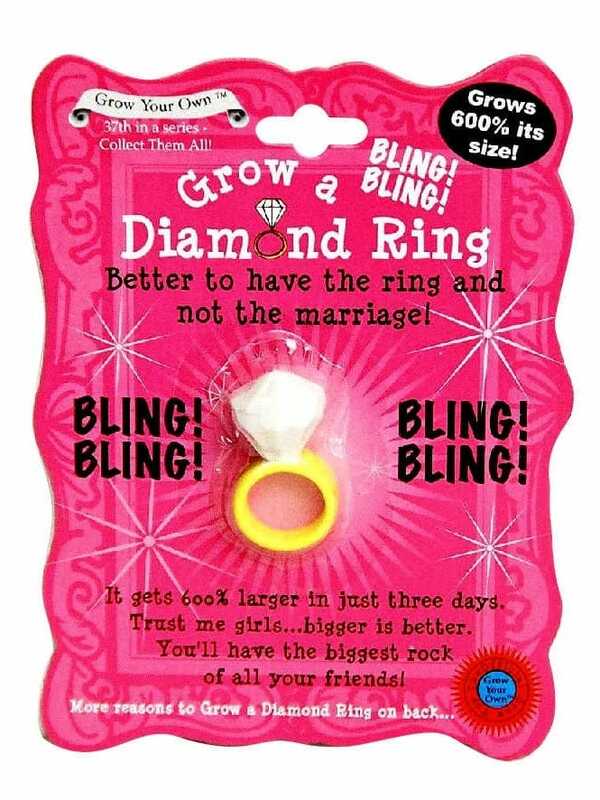 Give the Bride to Be the ring she deserves with this hilarious Grow A Diamond Ring Gift. Just add water to this novelty accessory before the Last Fling Before the Ring. After three days later the diamond will be 600% the original size! Perfect for every Queen of Bling! This novelty diamond is attached to a ring. A perfect compliment to every costume and new outfits. Why not add a personalised sash, and a personalised T-Shirt to your order? Hen Party Superstore offer a range of delivery options, including Next Day and Saturday delivery so that yuo can get your perfect outfit and accessories even at short notice.